Today im going to talk about what I did with my nephew while he came to visit. My nephew came over for 3 days. Since I didn’t have school for 4 days because of MLK day and teacher planing day he could stay longer. My mom couldn’t pick him up on Saturday because she had to go somewhere. When my mom came home with my nephew which was Sunday night I was playing with him a lot. I missed him and I wanted to play with him before I went to sleep. The next day which was Monday my mom, my nephew, and I went to my favorite restaurant named “BJ’s” I ordered my favorite Potato skins and dry wings with the sauce on the side. My mom had a Garden Salad with the works lettuce tomatoes, cucumber, eggs, and bacon and she also had the dry Chicken Wigs just like me. My nephew had Mac and Cheese and Fruit. We also had a Pizookie after we ate all of our food. The last day my nephew was here which was Tuesday we went to my other favorite place named “Round 1”. 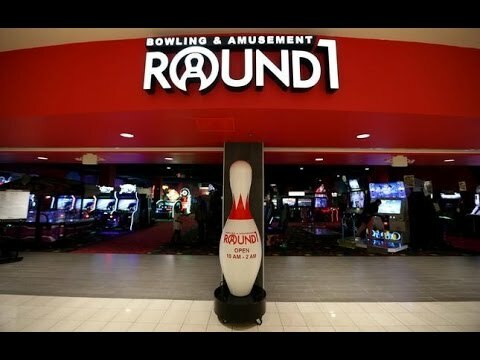 On Monday we were going to go there but we couldn’t because they said the system was doing a update on all of the games, so nobody could play any of the games that day they can only bowl or play pool. That’s why we went to Bj’s and after we went to Bj’s we went home. So when we came back to Round 1 on Tuesday luckily we could play all of the games. Thanks for reading!! Hope you enjoyed!